In these days wherein convenience is celebrated, we have said goodbye to the use of clunky, big headphones. Earbuds have completely changed the way we view and wear these devices. Earbuds are light, snug-fitting, and fit right into our ear canal. This means that music is directly channeled into our ear. As such, earbuds have the capacity to block noise coming from the outside, and generally do not interfere with our accessories such as earrings, hats, glasses, or even our hair. However, there is a tendency for these earbuds to fall right out of our ears, especially if they are not fitted properly, or while doing other activities such as running. What makes about the use of a tight cap or a headband specially is that it can also make you look fashionable, aside from just making sure that your earbuds stay right in place. With this, you just need to properly insert your earbuds. Pull the edge of your ear up using your fingers, thus opening up your ears. As you do so, insert your earbuds and release your ear. Next, remove the cover of the earbud, and replace it with one having a larger size. Most manufacturers provide some extra cover sizes along with your purchase. Place a tight hat cover or headband to cover your ears. This will help in keeping your earbuds in. You may also want to purchase an accessory that can easily be attached to your earbud, fitting over right in and behind your ears. These accessories can help in keeping your earbuds in. Among the accessories that you can use include ear-shaped covers which can fit better tightly. They can be purchased either online, or at electronic and sport retailers. If you do not have any hat or headband with you, you can easily wrap your earbuds over your ear. As a matter of fact, this is the easiest method that can keep your earbuds right in place. This may turn out to be a little silly, but it works amazingly, and saves you money as compared to buying extra accessories. You may also create your own hooks out of twist ties. If you do not want to end up looking stupid, especially if you are traveling, you can try some other similar solutions. For example, you can put them upside down. This will make the wire go above the tragus and not below. Then, you can just wrap the wires at the back of our ear. This is perfect if you jog, which often causes the earbuds to slip out because of the sweat. 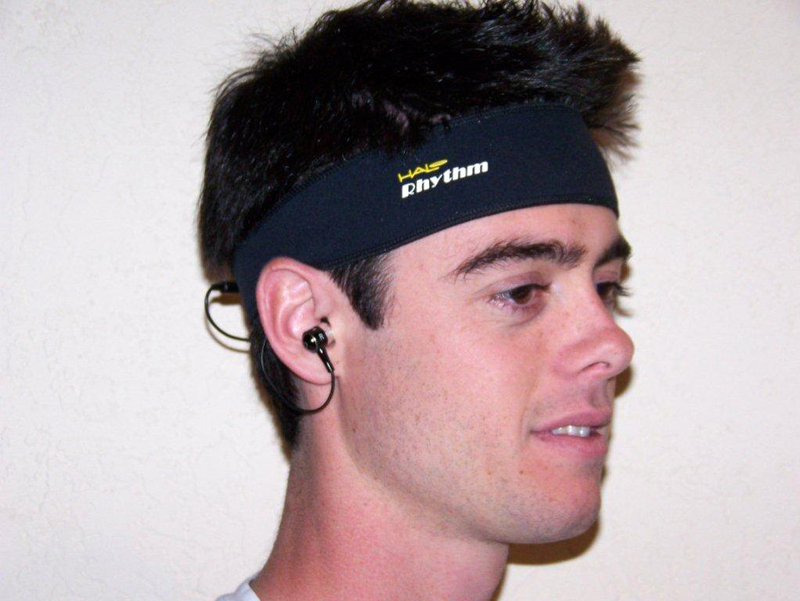 You can also try another option by simply flipping the parabolic earpiece, facing outwards. After, you can wrap the part that is flat, using a thin tape, flipping the earpiece back in place, observing if it fits better now. In order to adjust further, you can simply adjust the number of tape layers to see which one fits best for you. In order to make sure that your earbuds fit right into your ear, you also have to make sure that you have the right size of the ear tip. Check the package that comes with your earbuds, most manufacturers come with different sizes of silicon tips and foams that can help you choose the right fit. As a tip, keep in mind that one ear may be a little bigger compared to the other, so you may have to use another size in every ear. On the other hand, if you got your earbuds without any extra ear tip of foam that is supposed to come along with it, you can purchase extra accessories that are available in stores. If you are still planning to purchase a set of earbuds, you can opt for those that have been designed in a way to make them stay in your ear. For example, Apple came up with a patented design for earbuds that do not fall out of the ears. This has been designed especially for those who use them while exercising. The patented design describe the earpiece with a design of a bendy outer part, forming right into the ear of the user. While it may not be described as completely revolutionary in the field of earbud design, but it is already a step away from the usual earpiece design that falls off the ear quite easily. Regardless of the tip mentioned above that you are planning to use, the ultimate goal is to make sure that your earbuds stay right in place. If you are still planning to buy one, you can consider the design of the earbuds so that you do not need to make adjustments later on. If you already have one, the use of some accessories will help you as well.